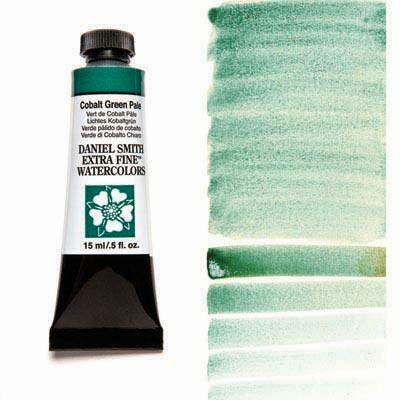 Cobalt Green Pale, a green-blue, is similar in application as Cobalt Green. All inorganic, they are considered transparent and non-staining (or low-tinting) pigments which are ideal for glazing methods. Their ability to create soft edges, to lift and to mix readily made Cobalts valuable contributions to watercolor palettes.